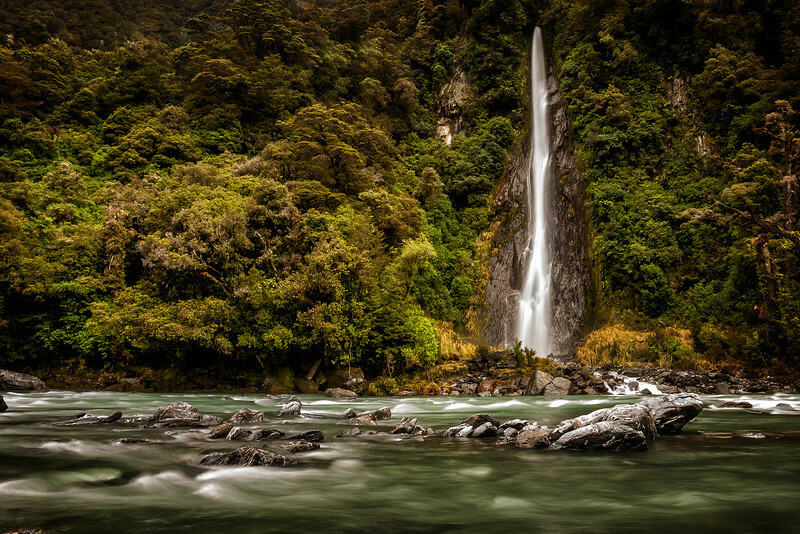 Thunder Creek Falls.This waterfall is in lush rain forest situated in the Haast Pass halfway between the lush West Coast and the bone dry Central Otago. In fact 20 minutes drive to the south you enter a completely different landscape. It really is chalk and cheese.